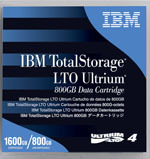 IBM LTO-Tape Media 2015 Promotion Giveaway! 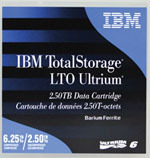 Receive one FREE IBM LTO Ultrium Cleaning Cartridge Part# 35L2086 ($70 Value). 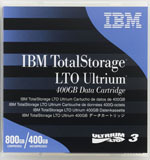 Promotion is good from August 1, 2015 through September 30, 2015 while stocks last. Item may ship seperately from product ordered. 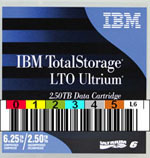 This offer is also good for the IBM LTO-3, LTO-4, LTO-5 and IBM LTO-6 Tapes with Free Barcode Labels (same min. quantities). 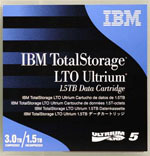 IBM LTO-5 Ultrium Data Cartridge 5 Pack - IBM Ultrium 5 1.5 TB Data Cartridge #46C2084 Call your BackupWorks Rep at 866 801 2944 for all your IBM LTO-5 Storage needs including the IBM LTO-5 5-Pack Part# 46C2084 & 49Y9899. 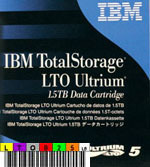 IBM LTO-3 24R1922 Data Cartridge Tape, LTO3, Ultrium-3, 400/800GB. 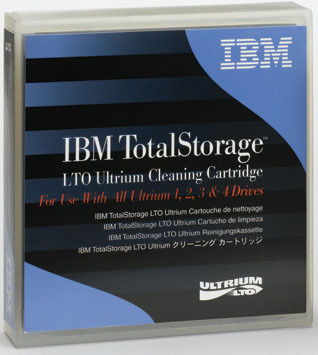 In stock now at Backupworks IBM 24R1922 LTO-3 Ultrium Tape media visit us today or call us at 866 801 2944 Order 45 or more IBM LTO-3 Cartridges and receive a free IBM LTO Cleaning Cart.